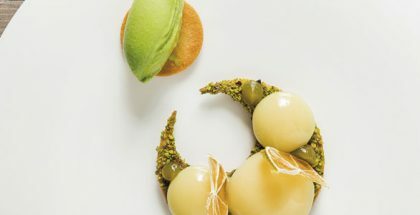 The pastry chef of MGM Grand Hotel in Las Vegas, Marco Cossio, became Pastry Chef of the Year 2011 in USA. 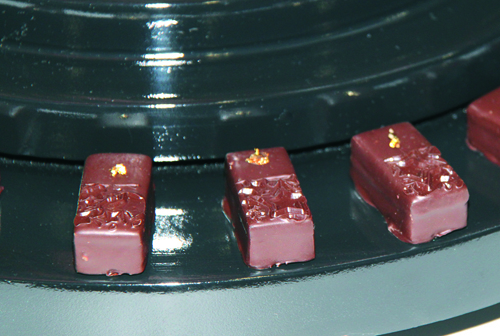 Here we show Marco Cossio’s Nouba bonbon, one of his creations during last edition of US Pastry Competition. In a next post, we’ll show you his winner entremet. 500 g (17 oz) Dark chocolate couverture (Noel Grand 58.5 %) Exc. In a sauce pan heat cream, glucose, vanilla extract and fresh vanilla, and bring this to a simmer. Remove from the stove and add the Yuzu juice. Cool it to around 158 F. / 70 C. and pour into chocolate solids. Add butter at 95 F. / 35 C. and mix with a hand blender to create emulsion. 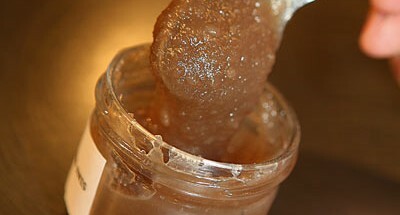 Pour mixture on top of pate de fruit at 88 F. / 31 C. let it rest 24 hours at room temperature before cutting. Deep in chocolate couverture Noel Noir 72 % after they are cut.